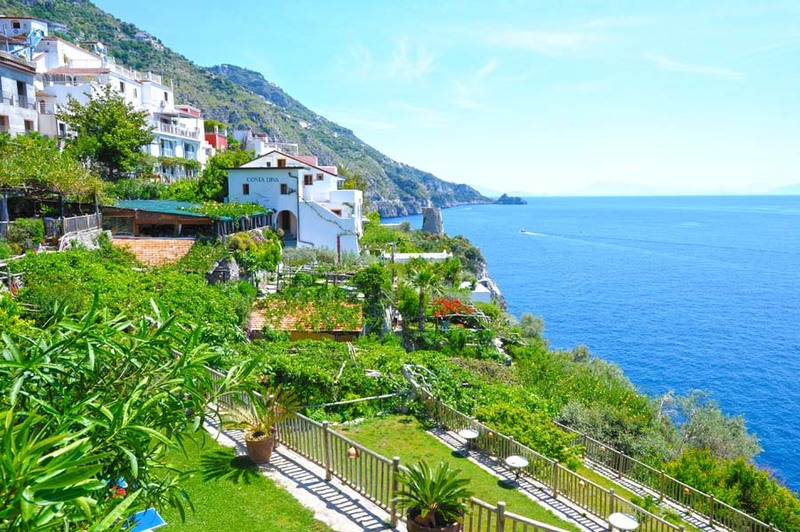 The Hotel Costa Diva, on the Amalfi Coast in Praiano, offers its guests standard hotel rooms, superior rooms and junior suites. Thanks to balconies, windows or private terraces, in almost all rooms of the hotel, guests can admire the marvelous panorama of the Amalfi Coast: bays, docks, and beaches will stretch out before the eyes of tourists, the variegated succession of the landscape jewels of the Divina Costiera, distinguished by the historic sighting tower used in past centuries to protect the fishermen of the village from the raids of Saraceni and Normans. 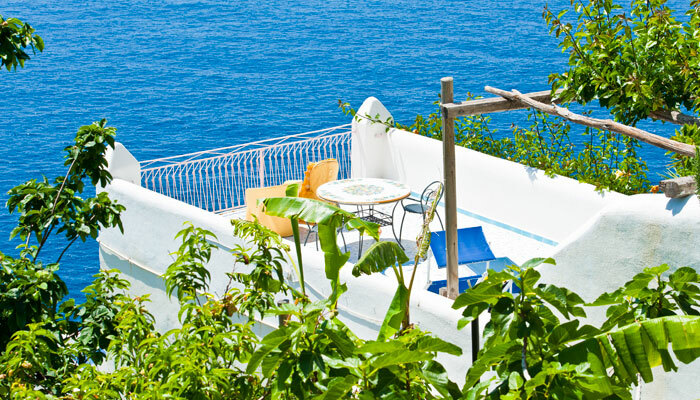 The peace and tranquility, typical of this hotel on the Amalfi Coast, will cheer up the living room, cradling guests with the sound of the surf of the sea and the chirping of birds. 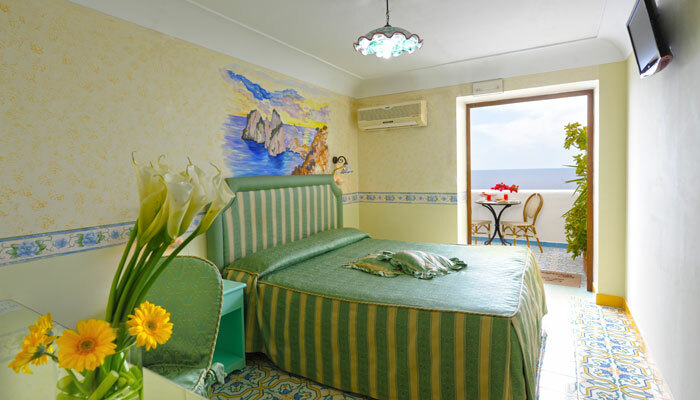 The hotel rooms are furnished in the typical style of the Amalfi Coast and Praiano, with frescoed walls, vaulted ceilings, hand painted Vietri majolica. Some rooms of the hotel are equipped with private hydromassage pools, overlooking the wonderful Amalfi Coast, to enjoy the panorama in complete relaxation. Complete the standard amenities of each room air conditioning, minibar, satellite TV, internet connection via a modem, telephone and safe. Furthermore, in the common areas, the Wi-Fi network is available to guests. 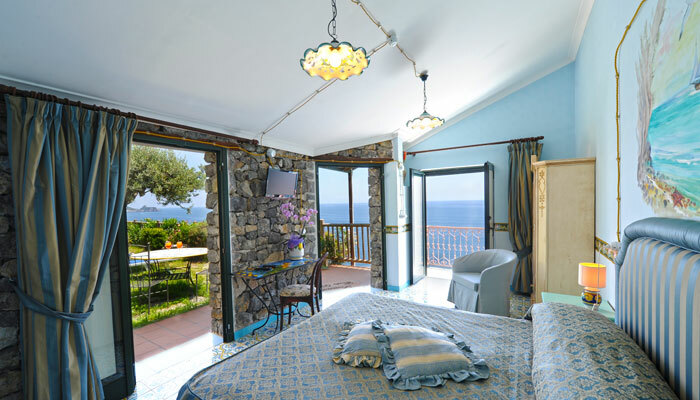 Every detail of our rooms and services that our hotel on the Amalfi Coast offers, has been designed to give to anyone who is a guest of the Costa Diva hotel, an unforgettable stay in the beautiful scenery of Praiano. Together with all the services of reception and restaurant, the Hotel Costa Diva offers to guests the chance to have a unique and personalized holiday: you can book directly at the front desk taxi services for traveling to / from Praiano; limousine services in order to visit the other jewels of the Amalfi Coast; boat trips with local fishermen to fish while admiring the Amalfi Coast from the sea (“recreational fishing”); hiking Lattari Mountains, through the Sentiero degli Dei (“Path of Gods”).